Dr. Anthony Youn discusses on a national TV show, money is tight these days, but you shouldn't have to give up being beautiful altogether. Here are some tips that will make you look fantastic, and feel smart too. Everyone is looking to cut a corner here or there, especially these days. Here are some little tips and tricks of the trade that can help you save some bucks, and look great doing it. Non-Surgical Brow Lift Dr. Anthony Youn says a little wax can go a long way. Eyebrow lifts cost in the thousands of dollars while an eyebrow wax costs only about $25. Of course, the result isn't as dramatic, but it is a nice refresher and really opens your eyes up, as well as your face. 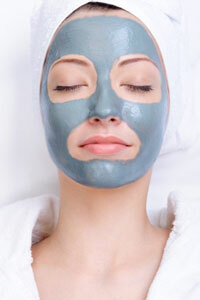 Chemical Peels A great money saver is a chemical peel. While it is not for every skin type, it costs much less than a fractional laser treatment but provides a great refreshed look. The results may not be as dramatic as a laser treatment, however, a chemical peel generally costs under $1000 whereas laser treatments can cost in the $3000 range. Dr. Robert Burke of the Michigan Center for Cosmetic Surgery offers a chemical peel known as the Burke BlueLift which provides results comparable, and some say better than, a laser treatment at a much lower cost. New Makeup Buying some new cosmetics can be a great confidence booster and really update your look. When you try out some new colors, you may be surprised to find something new that works better for your eye color or skin tone. If you've always gravitated towards brown shades, maybe try out some green or purple eyeshadow to accentuate your eye color. Botox or Fillers Botox and Dysport are great wrinkle solutions and can take years off your face. They work on the neurotransmitters, blocking the signals to the muscles and stopping them from contracting, thereby diminishing the appearance of wrinkles. Facial fillers such as Juvederm or Restylane are another way to go and work by plumping out your creases to the level of the surrounding skin, providing a more even skin tone. These treatments last for months, and for some fillers even up to a year, and should only cost about $400-$700 per treatment.